As the old cowman said, "Cows have more time than cowboys so cows always win." Another said, "If you break the cows rules, the cows will make you pay." 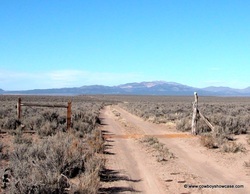 A wire used in fencing that has points at intervals to deter livestock from crossing the fence. Joseph F. Glidden of Dekalb, Illinois is credited with the first successful patent of barbed wire in 1874. 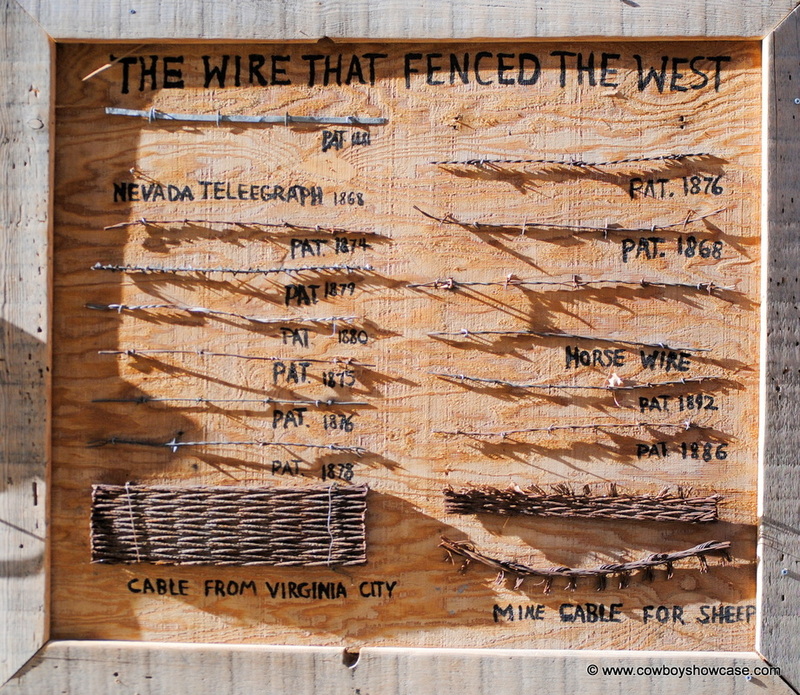 Over 2000 varieties have been cataloged and old barbed wire is quite collectible. 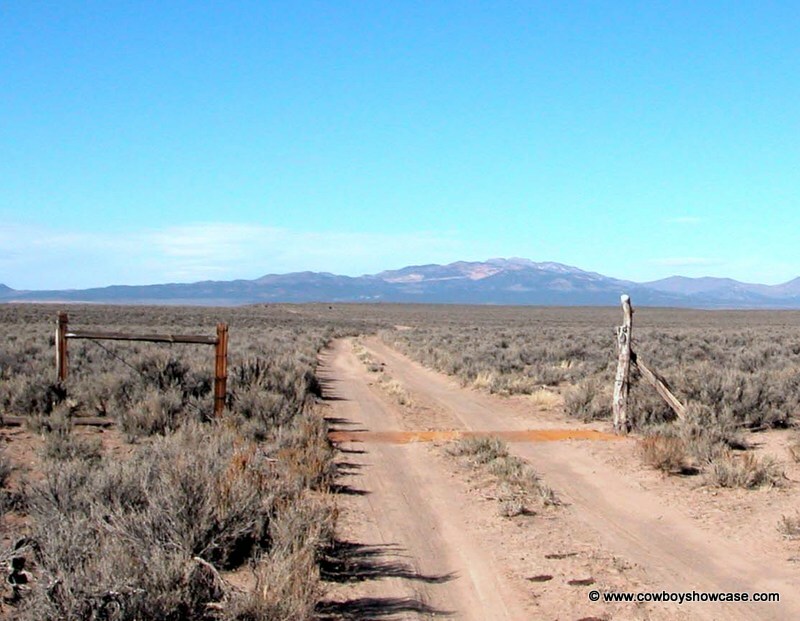 Some historians date the end of the "Old West" as the time when ranges began to be enclosed. 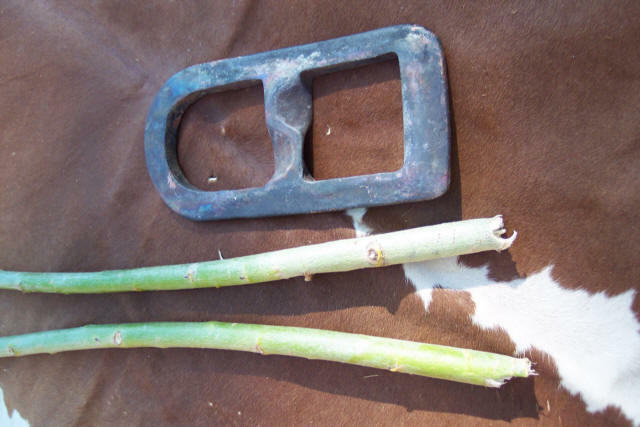 Bob: Method of marking cattle by trimming their tail hair. The cowman might "bob" the tails of the cattle he intends to keep while he is working them. This mark is made by cutting straight across the end tassel of tail hair. The mark is very distinctive and able to be seen from a long distance. See "long tailed." Brand: Noun: Ownership mark. Verb: Applying a brand. Branding Iron: The tool used to apply a brand. Called "iron" for short. 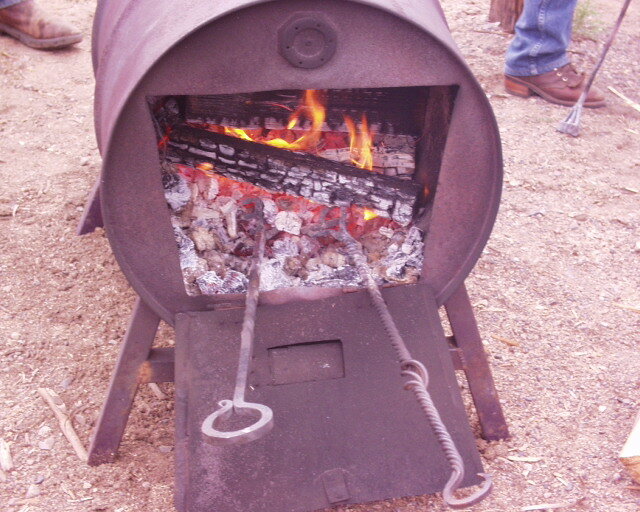 Saddle Iron: These branding irons are short stamp type irons that can be carried easily on a saddle and are constructed so you can find a stick and place it in the end when you need to use the iron. 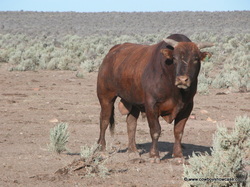 Bull: male un-castrated bovine (cow) Well-bred males are raised to father cattle in a cow herd. Genetics is big business in the cattle industry today. 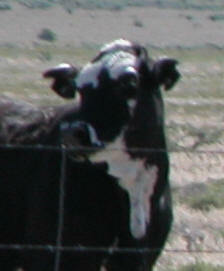 Cow: A female bovine. This term is used also as a generic reference to cattle. 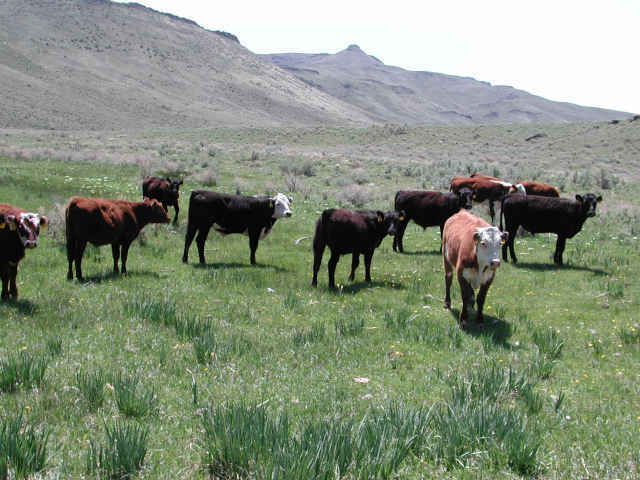 Cattle were first imported into the New World by the Spanish in 1541. 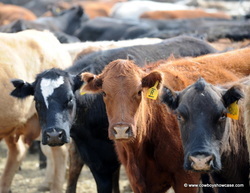 Since then breeds from England, Europe and India have been introduced, trying to create the best producing cattle that make the best use of the available feed on different ranges. 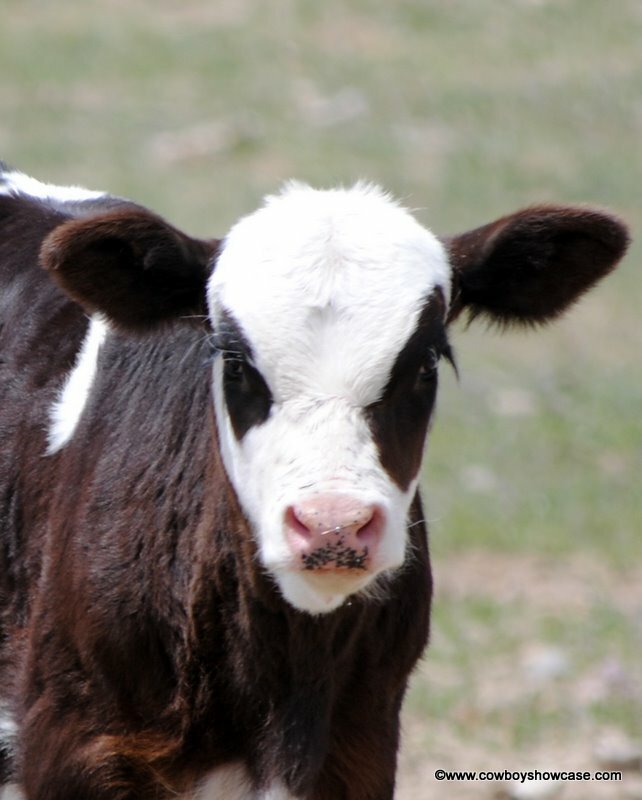 Calf: baby cow. 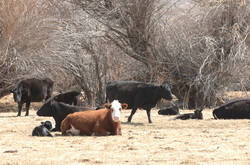 Usually cattlemen plan for their herds to calve (have their young) in the early spring. 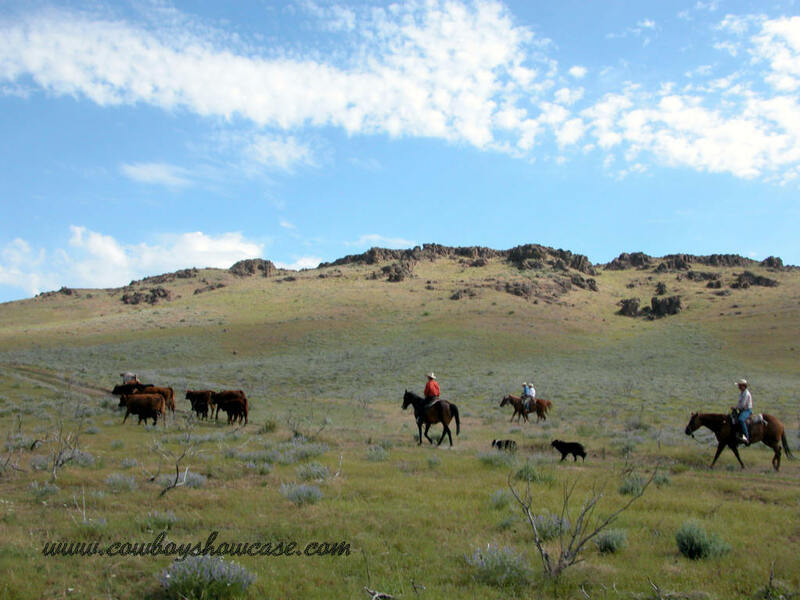 Some warmer climate ranches allow calving any time. 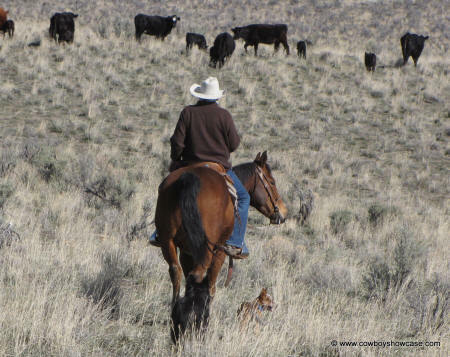 The animals are then rounded-up and marked by branding and earmarking or tagging to denote ownership. 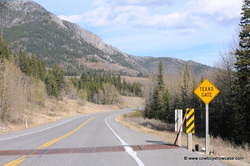 Cattle Guard: An obstacle to cattle in a roadway made from horizontal (usually metal) bars inserted in the roadway over a depression in the ground and parallel to the fence line. 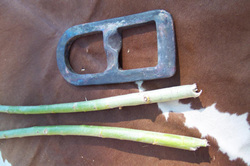 It is used to replace a gate. 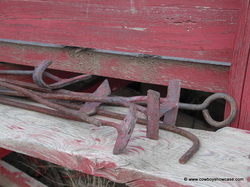 The hole under the bars is a deterrent to the cattle and they will usually not attempt to cross. See	Texas Gate. 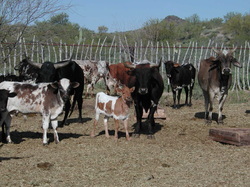 Corriente: cattle of non-descript breeding usually from Mexico. 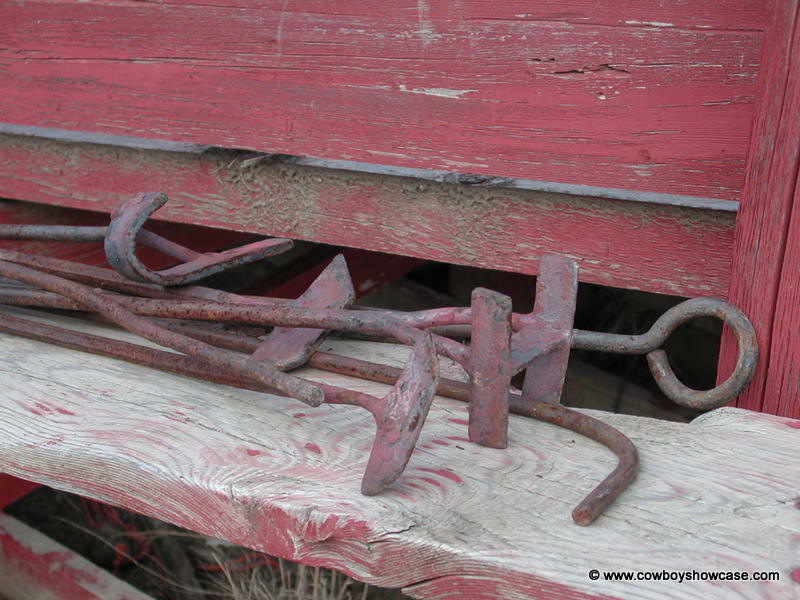 Often used in the U.S. for recreational-roping cattle. 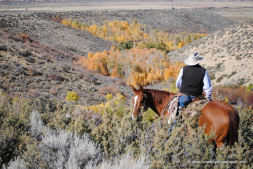 Critter: often in speaking of cows or horses a cowboy calls them a "Critter." Other animals can also be critters. Cut: (Noun) "a cut": a group of cattle separated from the herd for a reason, such as to sell. Also: a process of castrating a male animal. First cut: the choice pick of the group. 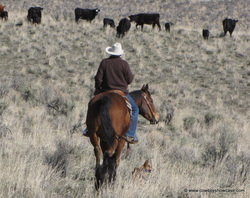 Cut a circle: A cow boss will describe an area such as a portion of a ranch from which you will gather cattle or ride to check on land and animals. 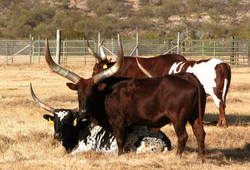 De-horning: In many places, cattlemen remove the horns from horned cattle when they are calves. This makes them easier to handle and less likely to hurt each other. This practice became popular when cows began to be transported more often by truck and rail and needed to be confined in small spaces. 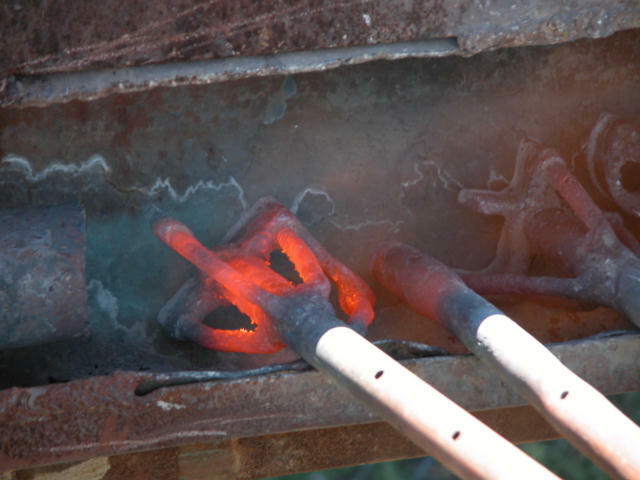 Horn iron:	The old way to help heal the horn base after de-horning was to cauterize the horn stub with a hot iron. 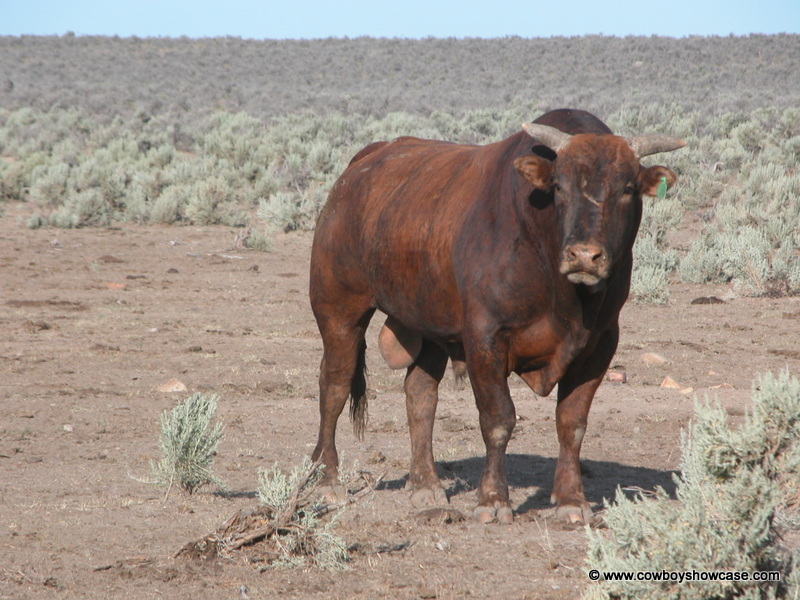 Dewlap: Another method of marking cattle similar to a waddle. A dewlap is formed by cutting a piece of skin so that it will grow into a distinctive hanging mark in a certain location. Used in conjunction with brands and earmarks. Dogie: (pronounced with a long "o" as in "own," not as in the pet animal named "Spot.") 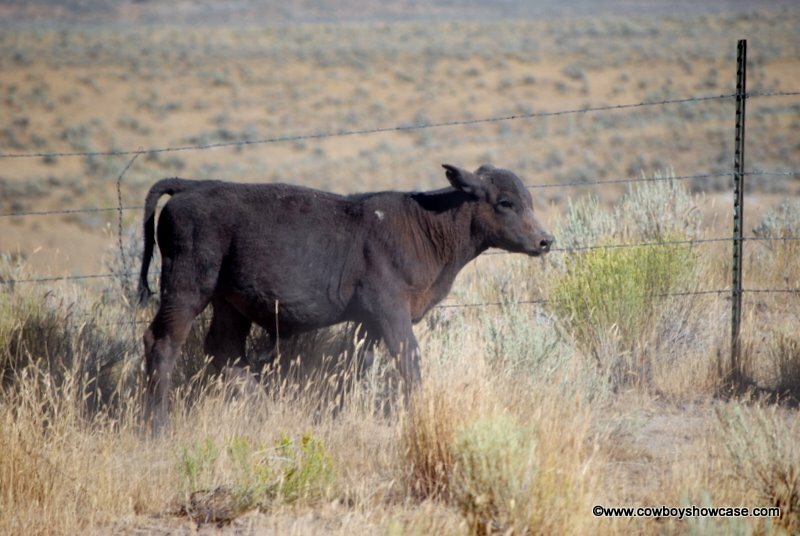 A calf with no mother. Term used more often in Texas. 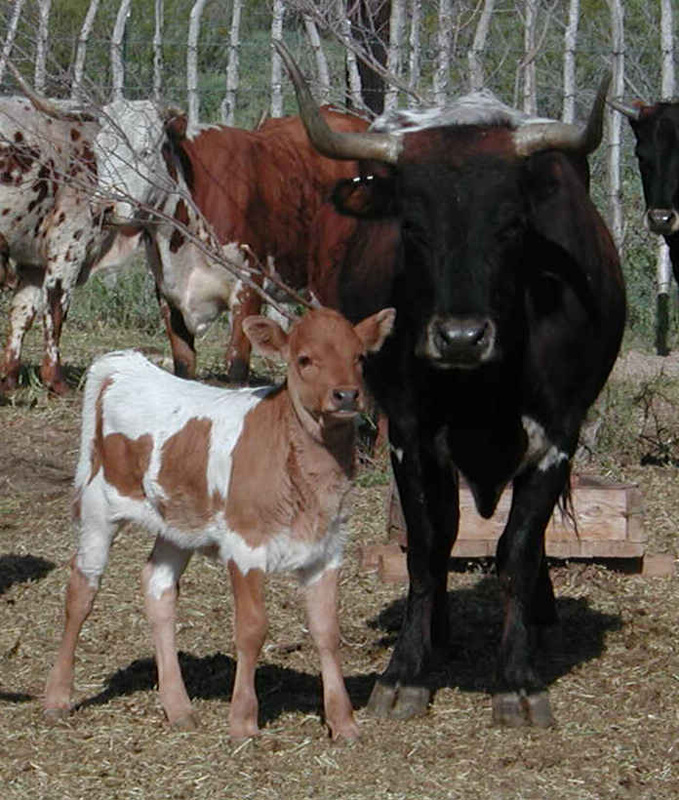 Derived from the Spanish word "dogal" meaning a short rope used to keep a calf away from its mother during milking. 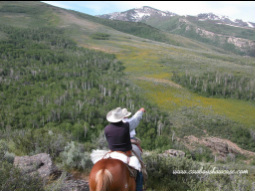 Drive: Method of rounding up cattle by scattering cowboys over the range and pushing the cattle to one place. 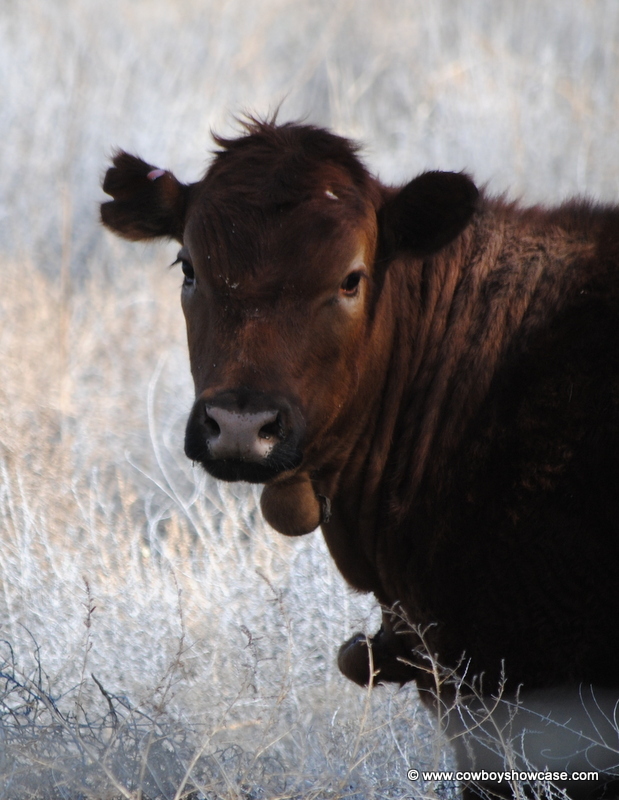 Earmark: Method of marking cattle by cropping their ears in distinctive patterns. Usually used along with a brand. The earmark patterns are also registered with the brand. 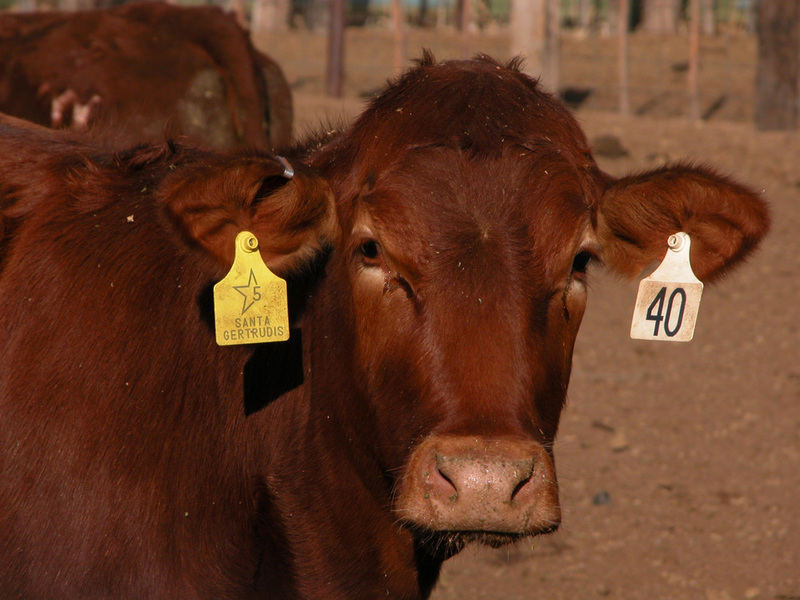 Earmarks can often be seen quicker than a brand (because the cow usually looks at you) and are a good aid in recognition and when sorting cattle. Many earmarks can be seen at a great distance. Swallow forks on the left cattle, full crops on the black cow on our right. Heifer: young female cow, raised to replace the older cows in a herd or to provide meat. 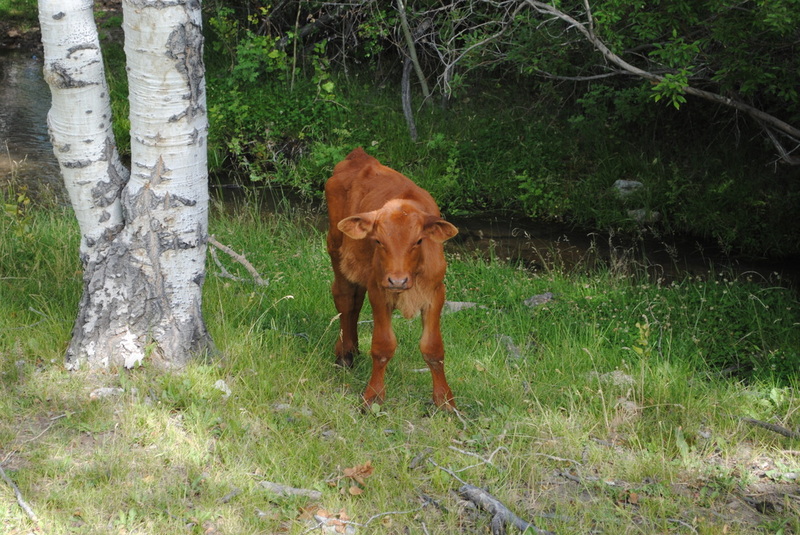 Leppy: An orphaned calf. Usually easily recognized by their pot bellies. Sometimes also used referring to a young cowboy who is inept in cowboy ways. Jerk: A gather of, or trip through, a small piece of country. 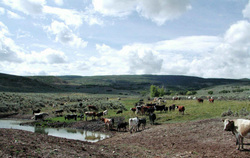 Term often used in rough country where cattle are hard to gather. 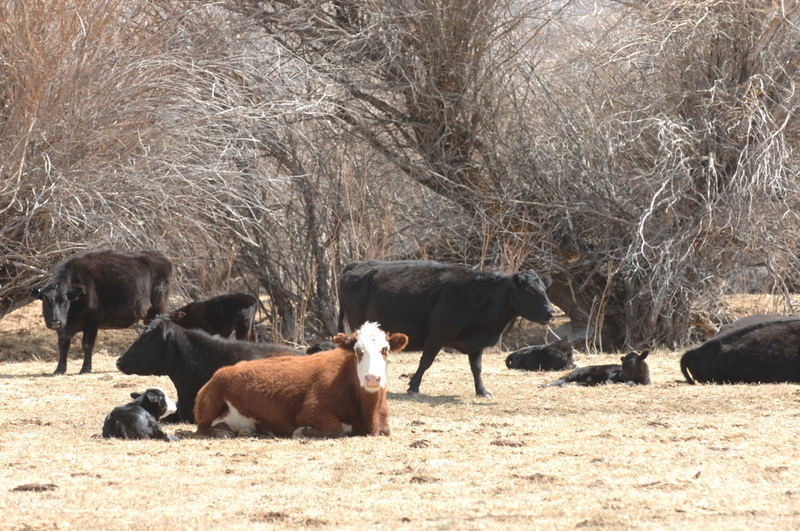 Long-eared, full-eared: Calves/cattle that have not been earmarked. They have their whole ears. Usually one of an age that it should have been branded and earmarked. 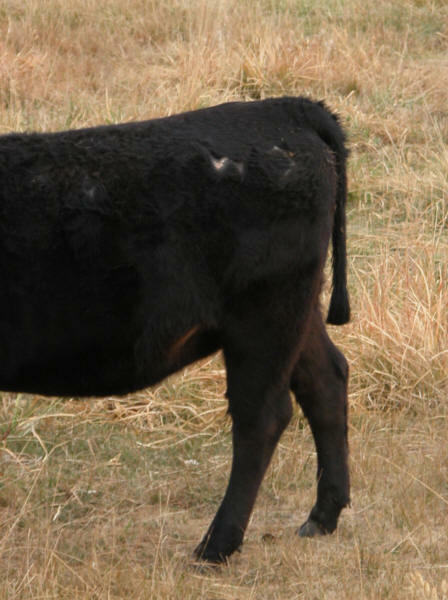 Long tailed: Some cattle managers snip the long hair on the tip of the tail off when they process range cattle. Makes a very distinctive mark and later the hair grows back. Lacking that they are "long-tailed." See Bob. Mavericks: wild cattle that haven't been branded and never been gathered. 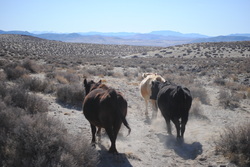 Sometimes in remote, rough country the animal has been untouched by the cowboys for quite a while and the older the animal becomes, the more unmanageable it gets. 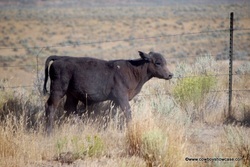 Oreana another term used for a lone unmarked and unbranded calf. 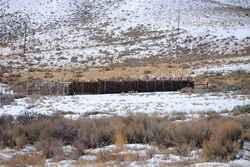 Rataque: Fence made by laying mesquite logs or sticks between posts. 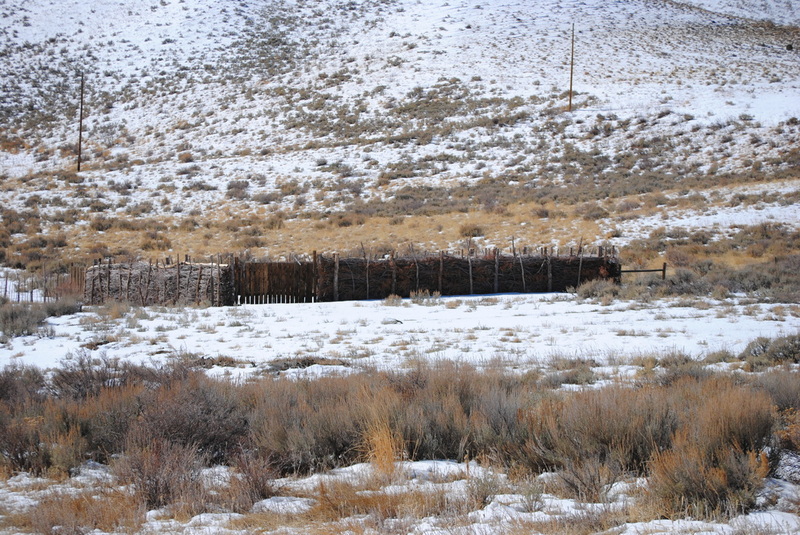 Remnants: Cattle not gathered in the first roundup and remaining on the range. 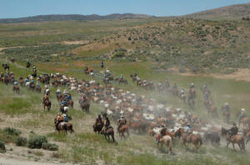 Riders go out again and again to find all the animals till the count is right. 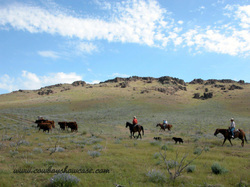 Re-ride:	To ride again, such as to check a pasture or allotment for cattle not gathered the first time. 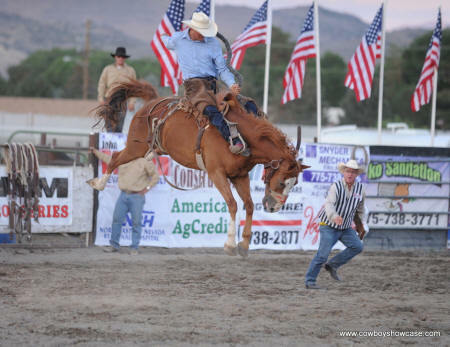 Also with reference to riding a bronc or bull in a rodeo, if the animal does not buck as should be expected, the rider is given a different horse or bull in the hopes they can score their best. Rodeo: roundup, today a contested group of events and associated entertainment. 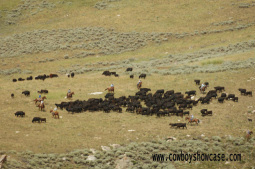 Rodear: To gather and work cattle out of a herd held by riders, such as in a fence corner where there is no corral. 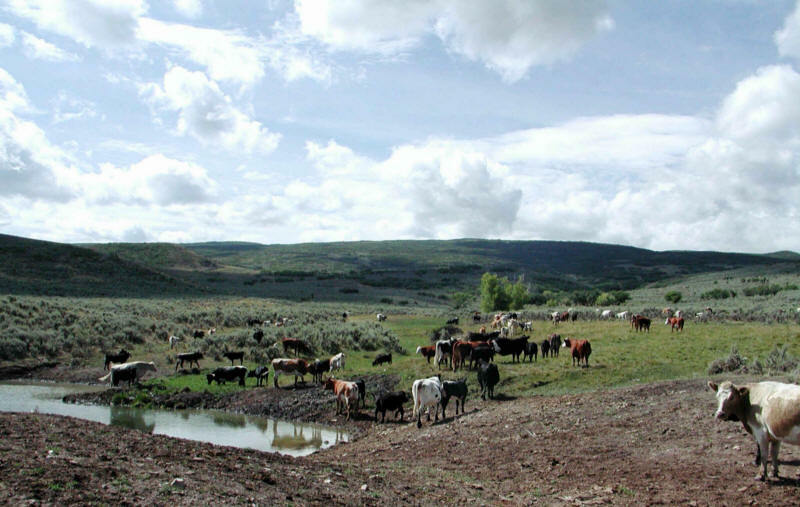 Roundup: The spring and fall gathering of cattle on the ranges in order to brand and ear-mark the calves, wean, sort for ownership and cut out those wanted for shipment to market. Shelly Cow: An old cow, usually in poor condition. 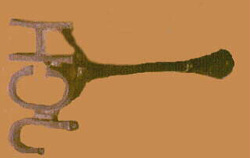 Steer: castrated male bovine (cow). 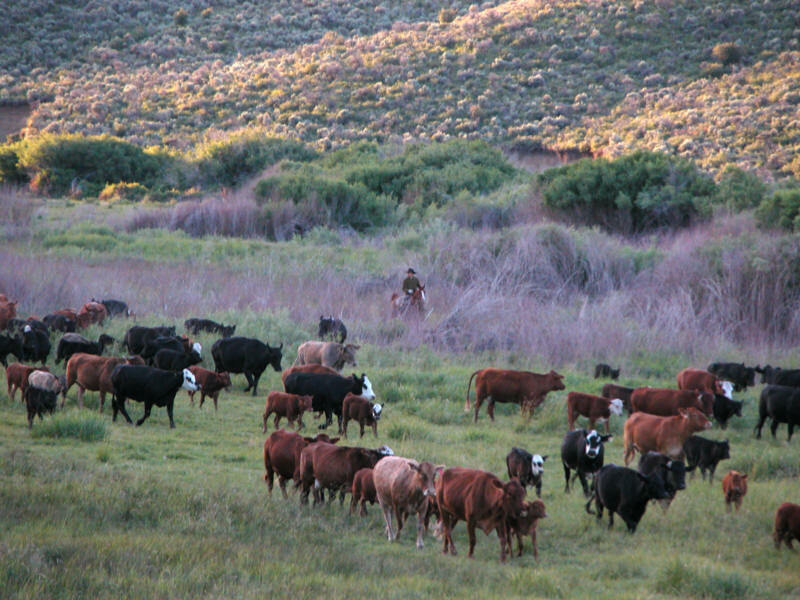 Steers are raised and fed well to provide meat. Slick: A horse or cow with no brand, earmark, or other identification of ownership. St. Elmo's Fire: The eerie glow sometimes seen on cattle's long horns during a lightning storm. It is caused by brush like discharges of atmospheric electricity and commonly accompanied by a crackling or fizzing noise. The discharge also appears as a tip of light on the extremities of such pointed objects as church towers or the masts of ships during stormy weather. The light was so named because St. Elmo is the patron saint of Mediterranean sailors, who regard St. Elmo's fire as the visible sign of his guardianship over them. Stray: an animal found strayed away from its owner or from the range where it belongs. 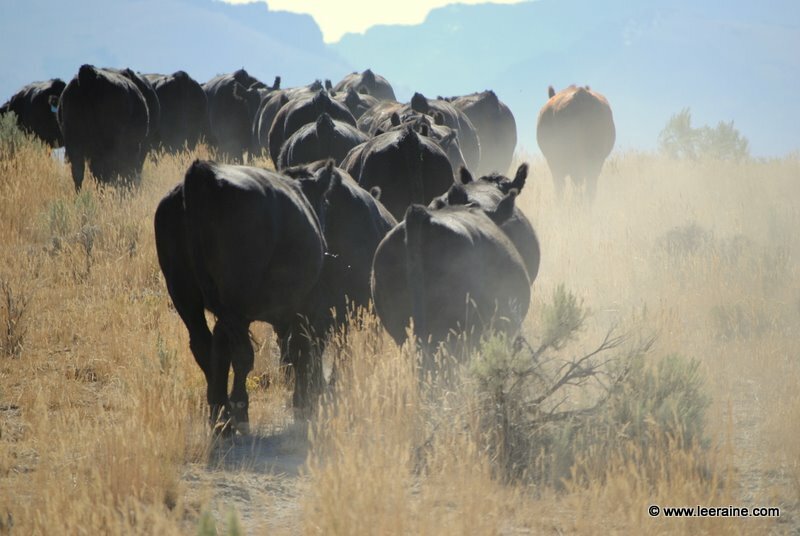 Something some people do not understand is that often cattle from several neighboring ranches become mixed up during the season and need to be sorted and sent back to the proper homes. This is the reason proper branding and marking are so important. Tank: a depression formed in the ground for the purpose of holding water, usually natural water such as rain water or intermittent stream water. Used mostly in the southwest. 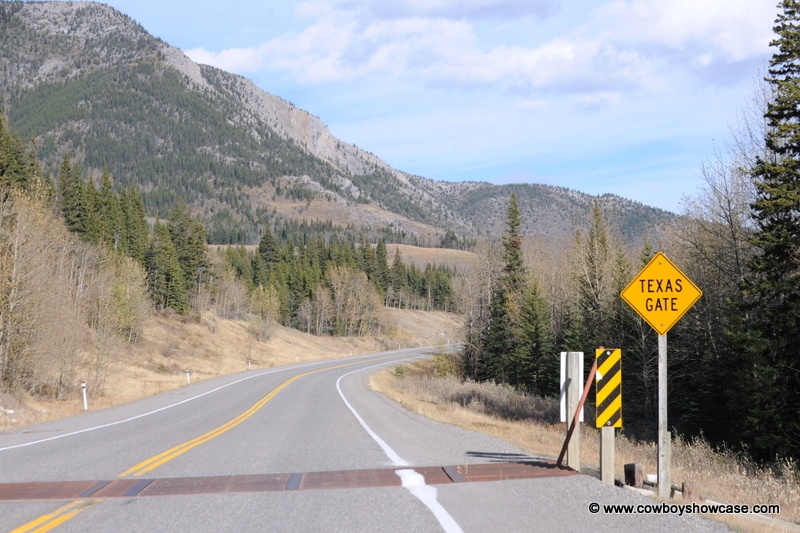 Texas Gate: Alberta Canada version of the American "cattle guard." 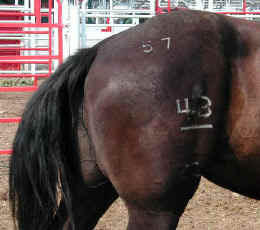 "Waddle: Another method of marking cattle. A waddle is formed by cutting a piece of skin so that it will grow into a distinctive hanging mark in a certain location. Used in conjunction with brands and earmarks. The examples show a neck waddle. Waddles and dewlaps often are more visible than brands in cold weather country where the winter hair obscures the brand, and are useful for quick recognition and sorting. 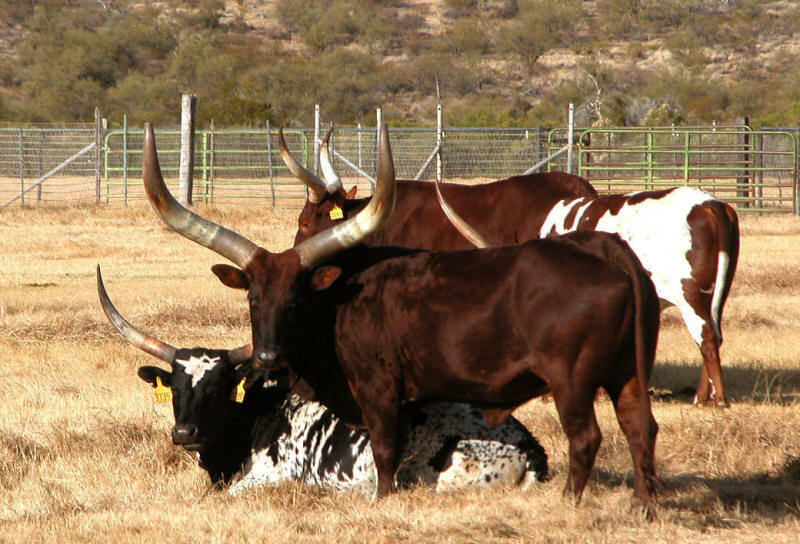 Watusi: African breed of cattle, dating their ancestry back 6000 years and called the "cattle of kings." Useful today in the United States, not only for their striking appearance, but for low birth-weight calves. Weedy: Similar to "locoed", but caused by eating too much black sage or other plant instead of a normal diet and causing malnutrition, often affecting an animal's mind and thinking.